Ireland is the EU’s top producer of plastic waste and will expect to suffer from this ban. China has taken almost all of Ireland’s plastic waste in the past few years. Ireland currently has no long-term infrastructure built up to deal with recycling vast amounts of plastics and has since been looking to source new markets since last year. While national and international strategies are being discussed in Ireland and the EU to solve this issue, there are a few ways that you can help at home! Firstly, you can ensure that you buy products with the least amount of plastic packaging available. As well as this you can reuse non-contaminated plastic materials instead of throwing them out after a single use. When disposing of plastics, make sure you do so responsibly. This can be achieved by phasing out toxic plastics such as ones that contain microbeads that damage marine life, washing and properly crushing plastics so that it takes longer to fill up your recycling bin. You can also reuse your plastic waste by being creative. Here are some ideas on how to Get Creative with Your Waste. With the recent announcement of new bin charges in Ireland, which was brought in to encourage people to recycle more, there has been some confusion on what can be recycled and what can’t be. 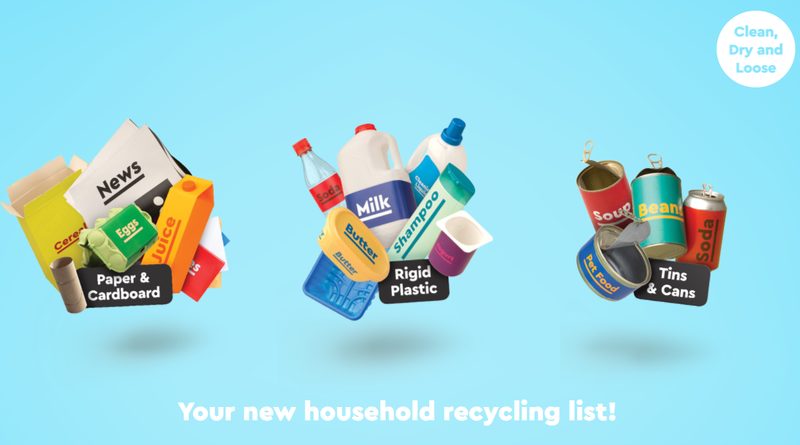 In order to assist in clarifying this matter, you can check out our blog on the New House Recycling List.